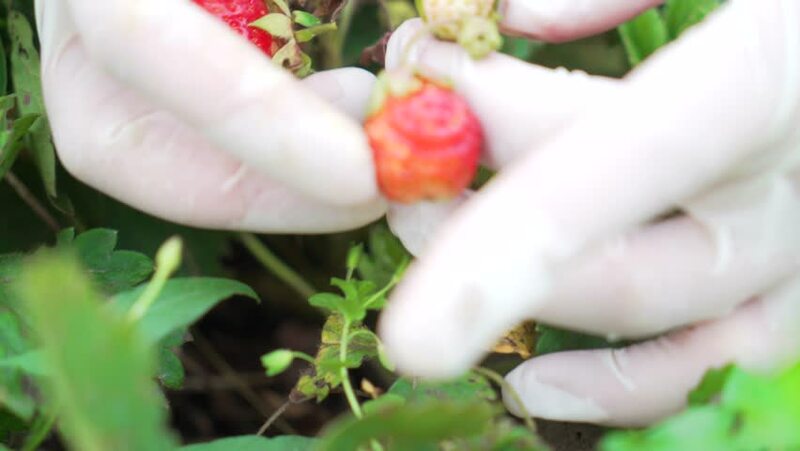 Hands of a woman in rubber gloves collecting strawberries in the garden. Harvest. 4k00:27Camera follows putting diced feta cheese over salad. Shot with high speed camera, phantom flex 4K. Slow Motion.